Our easy-fitting corded crewneck launched in a NEW style + NEW colors just in time for spring. 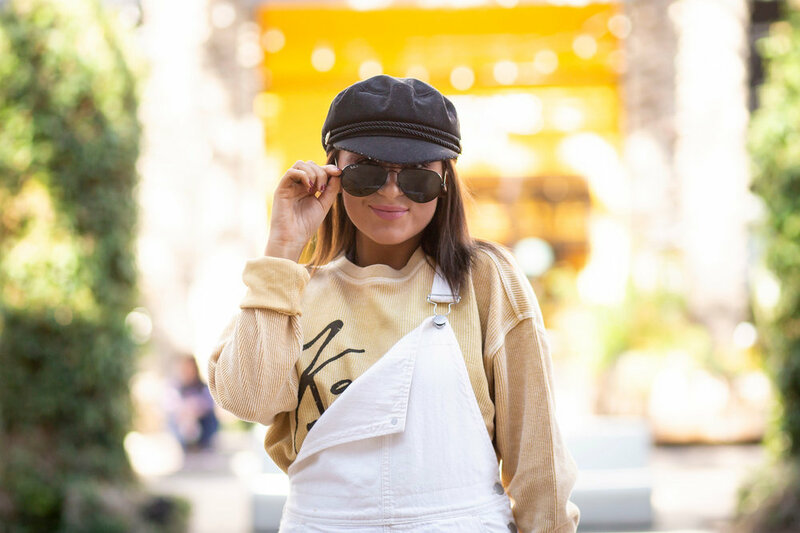 We launched the product by inviting some of ASU’s most influential fashionistas and bloggers to style it with Kendra Scott jewelry. Here are a few ideas for how to wear the oversized crop! The boxy Camden is perfect to style with a skirt because of the boxy fit. The oversized cropped fit hits just below the waistline which is the perfect length for the classic skirt/sweater combo. You could rock this sweater/skirt pairing so many different ways—which includes a little tuck for some extra flare. “89% of people say a great fitting pair of jeans can be more comfortable than any other pair of pants”, so who wouldn’t want the perfect sweater to match with that perfect pair? While we may have made up that stat, we can’t make up how exceptional this sweater pairs with jeans. From timeless mom jeans, to a skinny distressed pair, this sweater + jean duo is a dream team (maybe even more perfect than Beyoncé & Jay Z). A good knot can totally transform any outfit. It’s the ideal day to night fashion hack. Since this is a great year-round top, the front knot can be the perfect addition to any outfit. We love how versatile this piece is! Now available in Vintage Black, Storm and Honey. Contact your CM to start an order. Items ship within 7-10 business days. Who doesn’t like a good French Tuck? Tan France from Queer eye says “"it makes your ordinary outfit look a little smarter.” Let’s be real, we should all blindly take fashion advice from him and clearly these fashionistas have been keeping up with the trend. We all know what people say about a boxy fit…it looks good on you and you and you and you. It’s now available in Vintage Black, Storm, and Honey. Contact your CM to start an order, items ship within 7-10 business days.